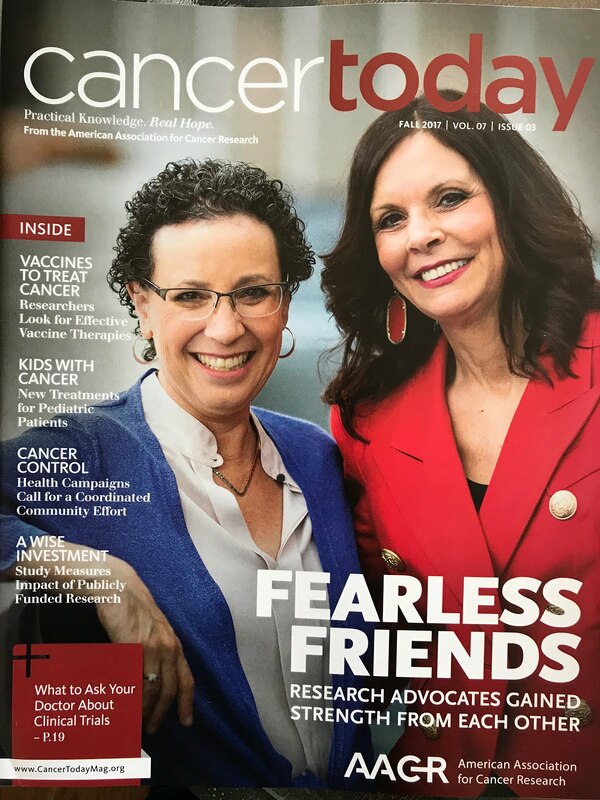 As my mom begins a new treatment protocol for metastatic breast cancer, I've frequently shared that I understand the need for research across the entire spectrum. Having "skin in the game" across a trajectory that spans from prevention of death, to prevention of progression, to prevention of metastatic disease in early stage patients and extending to prevention of breast cancer in its entirety, I've agreed to play a role as a judge with the Californial Breast Cancer Research Program (CBCRP) in their bold initiative to prevent breast cancer. 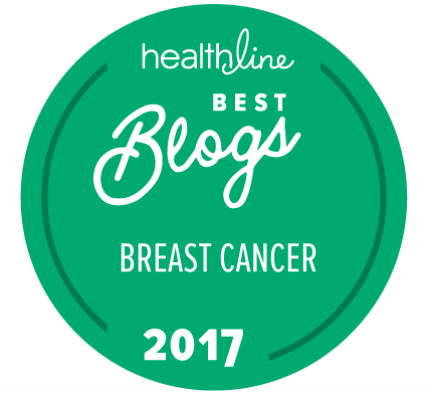 Please visit topreventbreastcancer.org to learn more. Submit your bold ideas and let's be the generation that moves this ball forward in a meaningful and effective way so that we might stop this disease in its tracks. Deadline for submissions, January 7, 2019, is just a month away. AND ... Advocates are encouraged and invited to submit their ideas. Read more from the director of the program Dr. "Mhel" Kavanaugh-Lynch. 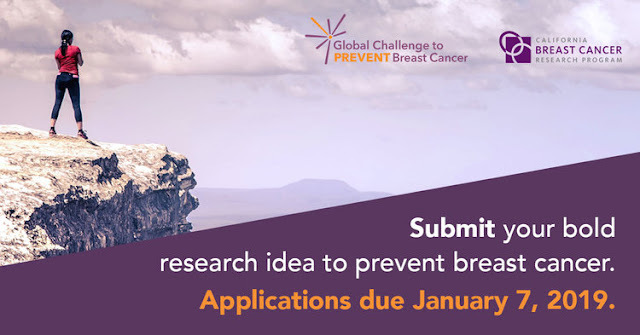 The Global Challenge to Prevent Breast Cancer is a competition designed to surface game-changing ideas to help launch an entirely new direction for breast cancer research — focused on primary prevention. This challenge, sponsored by CBCRP, invites researchers, advocates, and others interested in breast cancer prevention to participate. Winners will receive cash prizes, feedback from respected researchers, and the opportunity to present their idea to prominent leaders in the field. The most promising ideas will frame CBCRP’s future funding strategy and will be further developed in California with $15 million in grant funding from the program. 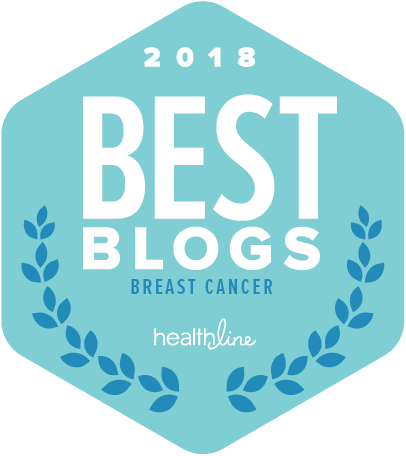 Despite significant advances in breast cancer treatment, people continue to be diagnosed with breast cancer at astounding rates — rates that have remained essentially unchanged over the past three decades. 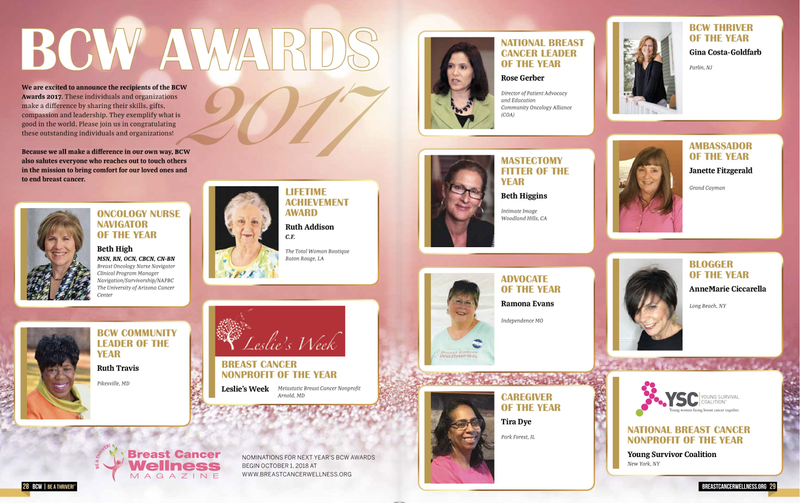 Of the approximately $2 billion spent on breast cancer research each year, less than ten percent is dedicated to prevention research. The opportunity for discovery is immense, and the time for breakthroughs is now.